On this day in 1904, Archibald Leach was born. He left an indelible mark on cinema and our culture as Cary Grant. He was, in the opinion of so many of his fans, the personification of elegance. 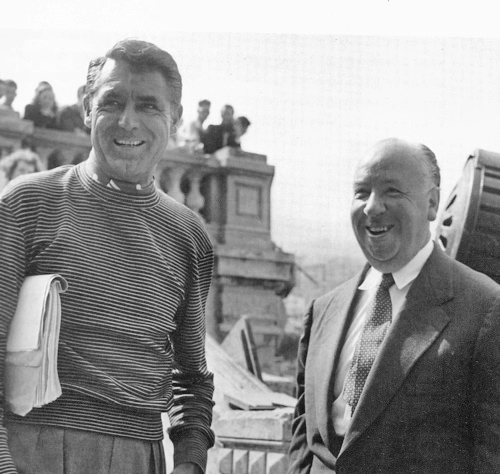 Screenwriter John Michael Hayes shared many memories of his experiences with Grant during the making of Hitchcock’s To Catch a Thief, as well as another unproduced project that was intended for the actor. Here is one of Hayes’s memories of Cary Grant excepted from Writing with Hitchcock, and followed by an audio excerpt from one of the actor’s one man show appearances, A Conversation with Cary Grant. Hayes was then given the task of stalling Grant until it was too late to work in his suggestions. “Well, that’s very interesting. Let me think about it,” the writer would say. Eventually the crew was ready with the next setup, and it was time to shoot the scene. “I guess it’s all right the way it is,” said Grant, who eventually caught on and enjoyed the joke.